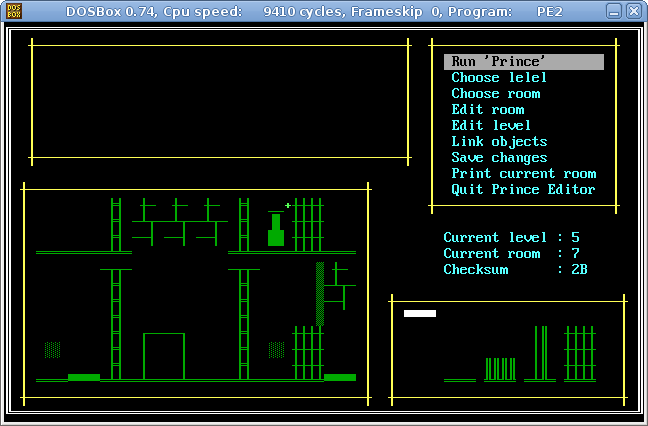 Princedit is the first Prince of Persia 1 level editor that was ever created. It is several decades old; was released on 25 October 1991 by Alexandr Larionov. It was used to create the 4D Prince of Persia mod.